Little House on the Prairie is an American western drama television series, based upon Laura Ingalls Wilder's 9-part series of autobiographical books. 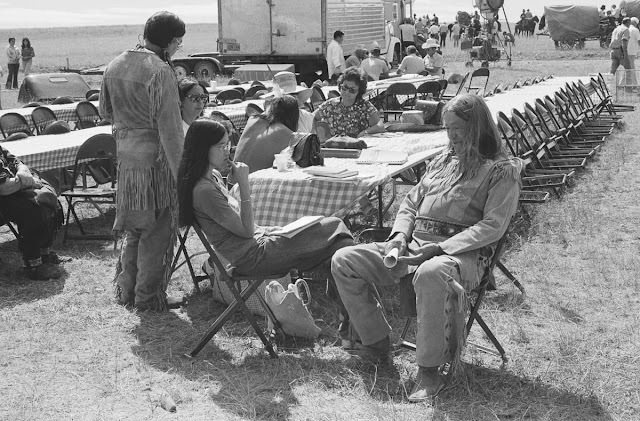 Television producer and NBC executive Ed Friendly became aware of this enduring story in the early 1970s. 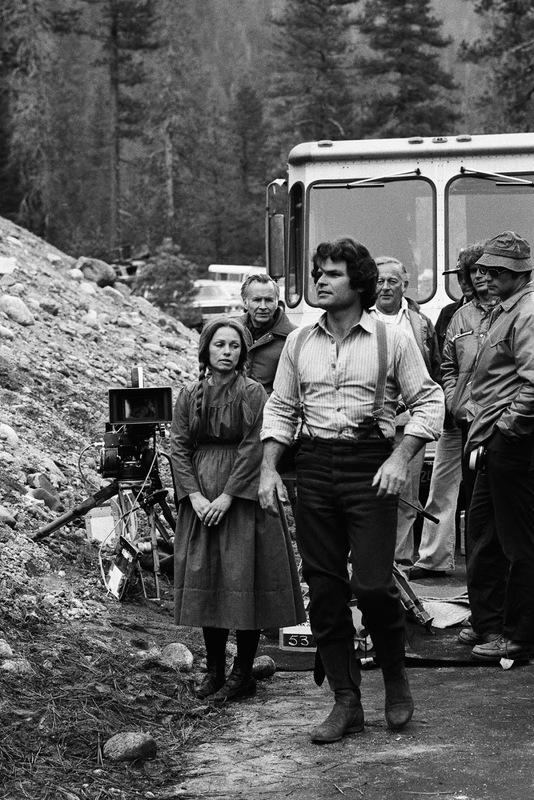 He asked Michael Landon to direct the pilot movie, who agreed on the condition that he could also play Charles Ingalls. 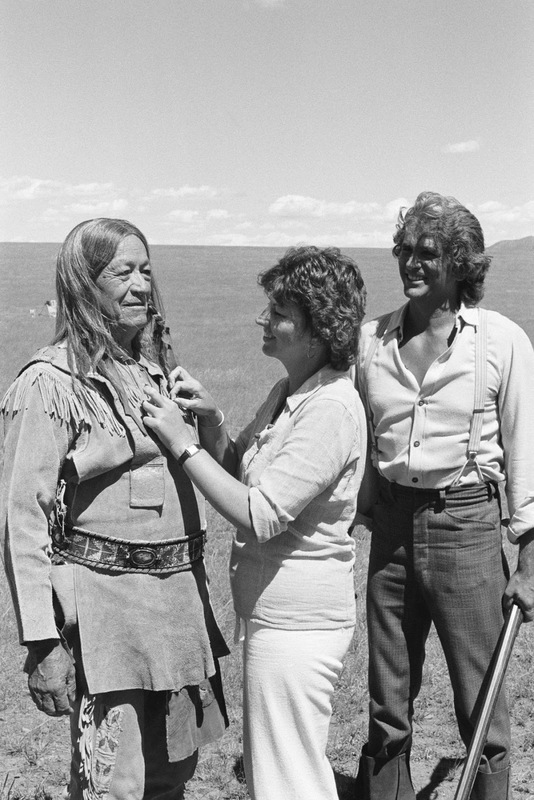 The regular series was preceded by the two-hour pilot movie, which first aired on March 30, 1974. 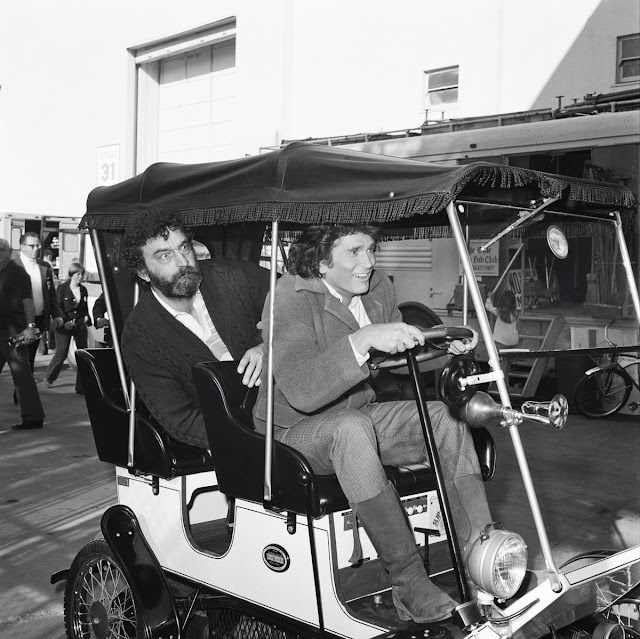 The series premiered on the NBC network on September 11, 1974, and last aired on May 10, 1982. During the 1982–83 television season, with the departure of Landon and Grassle, the series was broadcast with the new title Little House: A New Beginning. 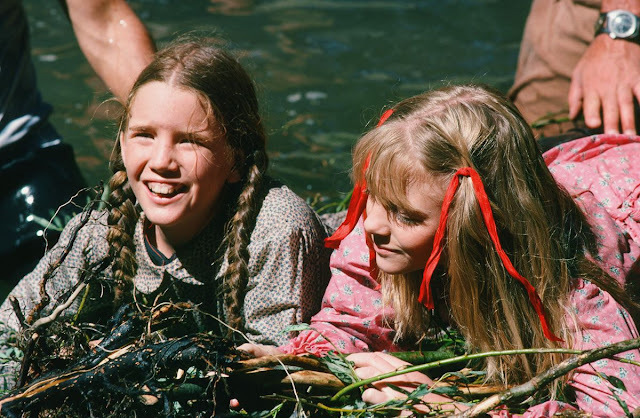 Melissa Gilbert (as Laura Elizabeth Ingalls Wilder) and Alison Arngrim (as Nellie Oleson) film a scene in a river for episode 9. 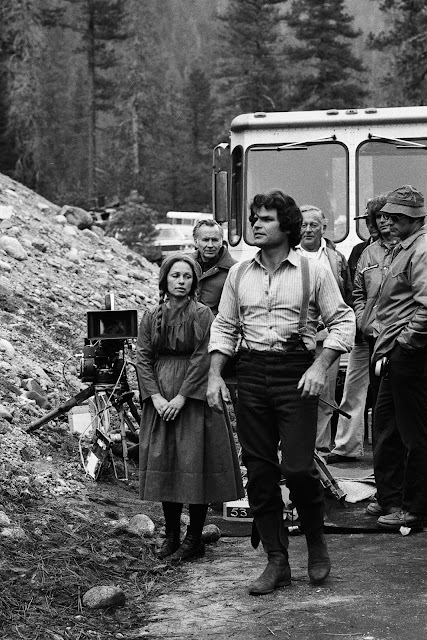 Actor/director Michael Landon on set with actors Melissa Gilbert, Melissa Sue Anderson and Charlotte Stewart. 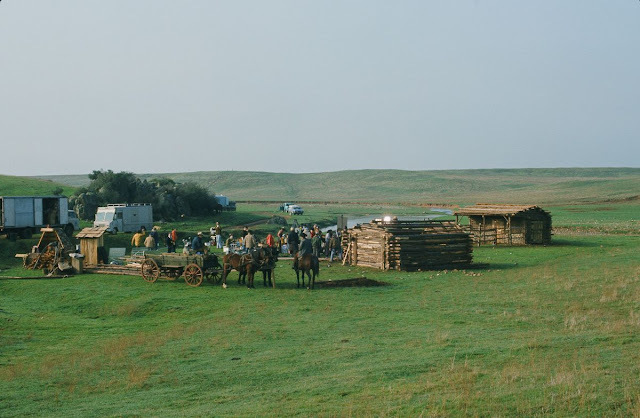 Chief Geronimo Kuth Le (right) on set as Long Elk. 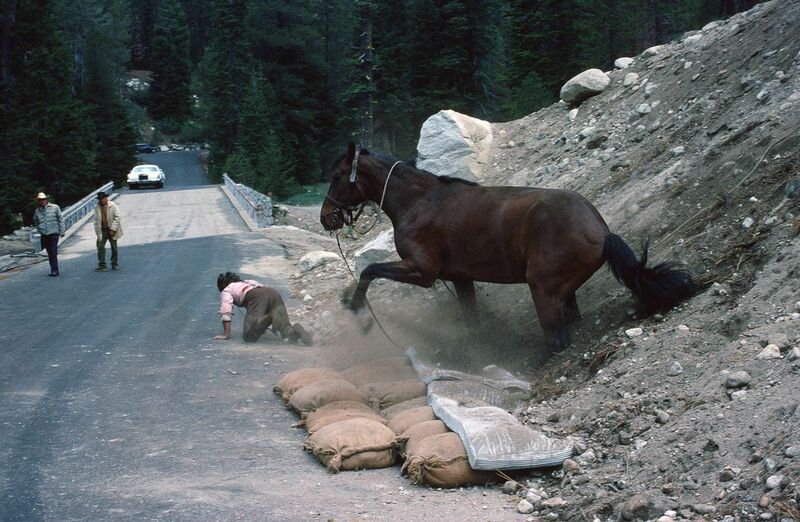 Michael Landon stunt double Hal Burton performs a stunt with a horse. A set for the pilot episode. 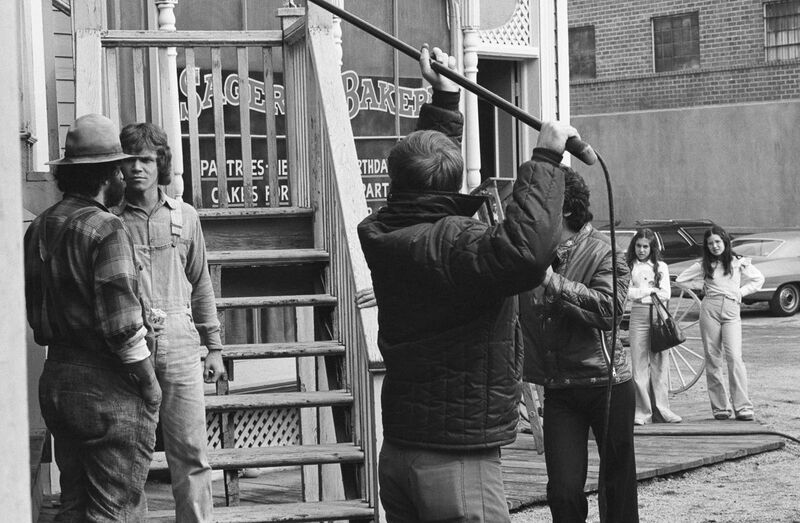 Victor French as Isaiah Edwards and Mitch Vogel as Johnny Johnson film a scene. 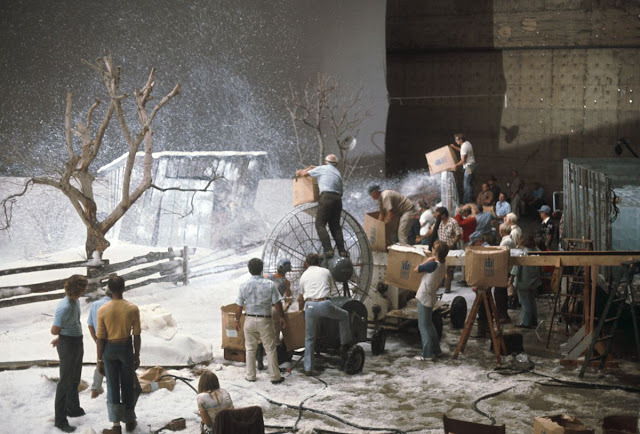 A blizzard scene is filmed on a soundstage. Victor French and Michael Landon ride a golf cart to the cast Christmas party. 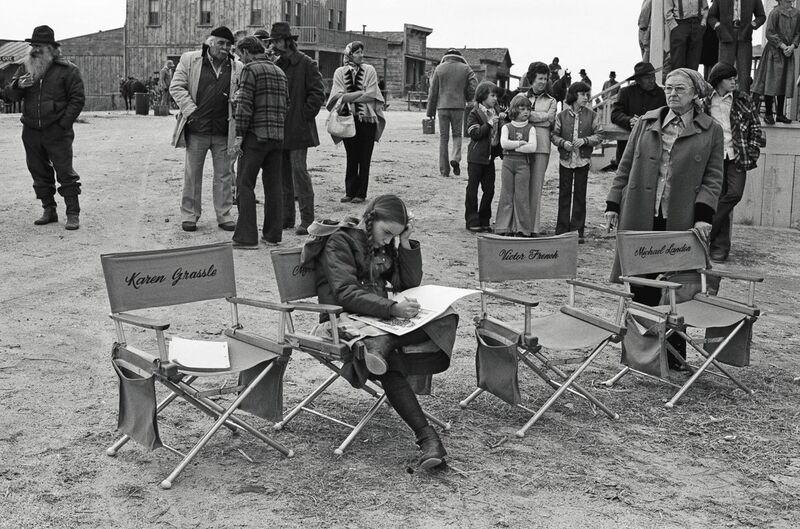 Melissa Gilbert passes the time on set. 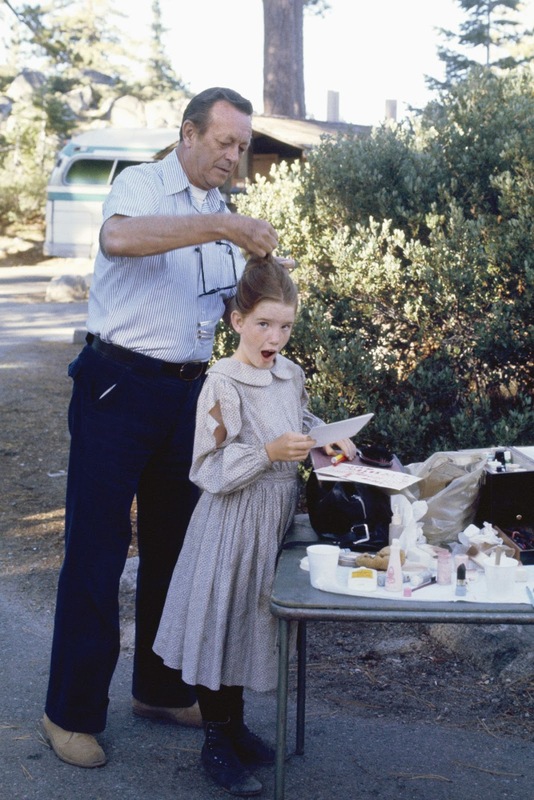 Stylist Larry Germain adjusts Melissa Gilbert's hair. 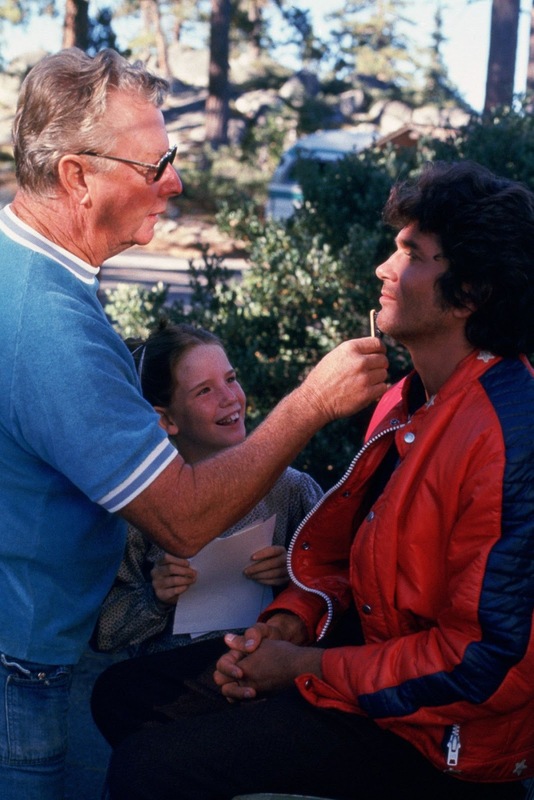 Michael Landon receives a touchup. 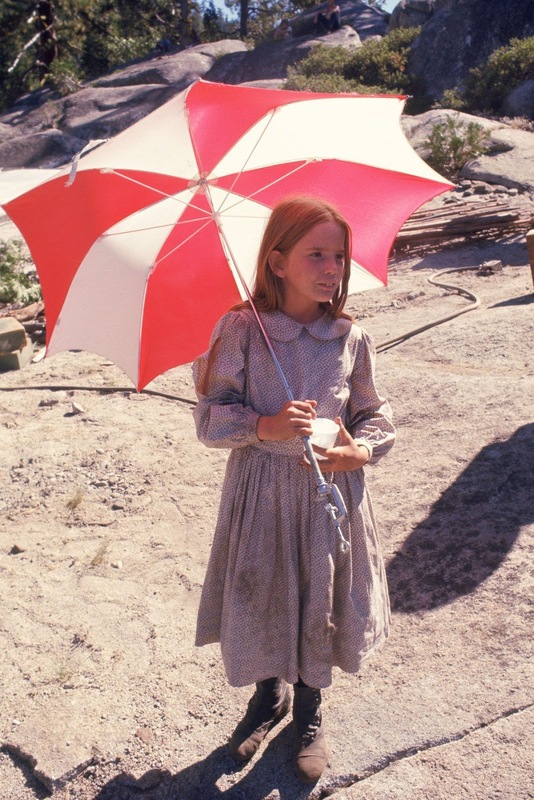 Melissa Gilbert stays in the shade between takes. Chief Geronimo Kuth Le has his costume adjusted by designer Richalene Kelsay. 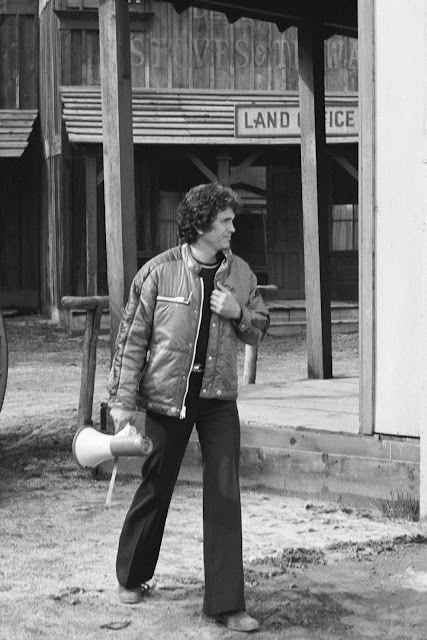 Michael Landon stunt double Hal Burton. 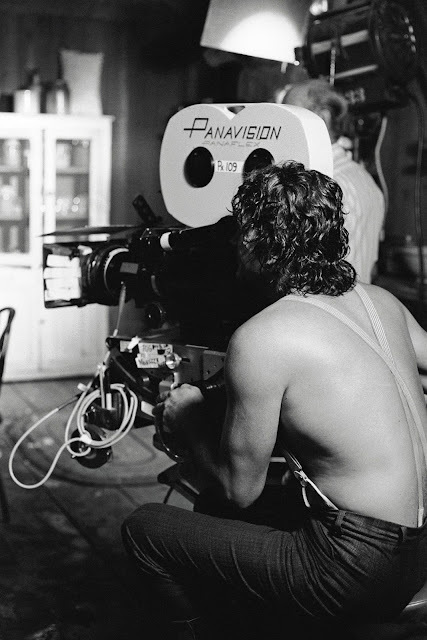 Michael Landon on set as director. Michael Landon directs an episode in partial costume. 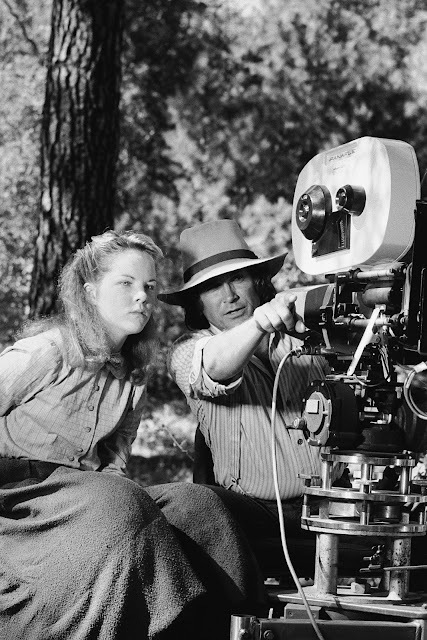 Michael Landon directs an episode while in costume as Charles Philip Ingalls. 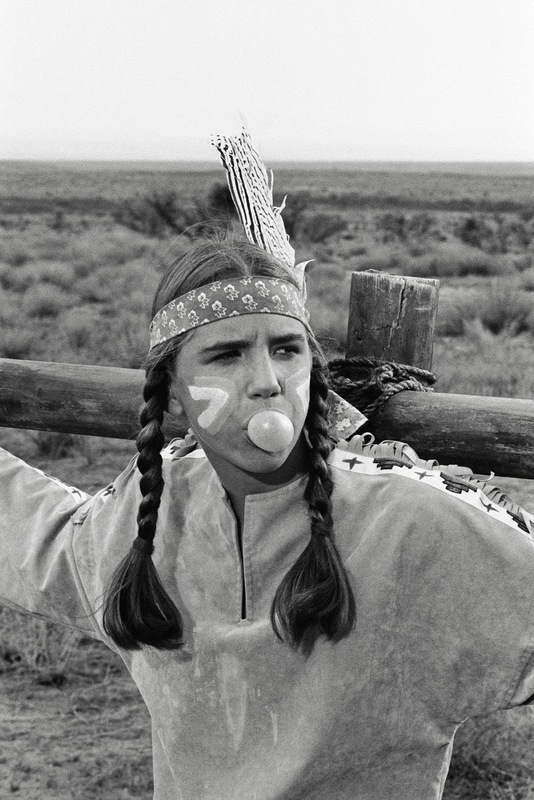 Melissa Gilbert, in costume as Laura Elizabeth Ingalls, chews gum in between takes. 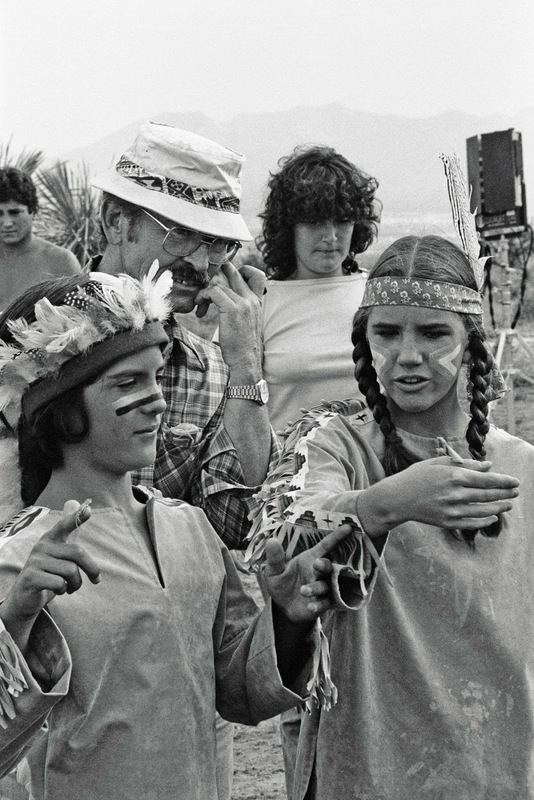 Matthew Labyorteaux and Melissa Gilbert rehearse a scene.